This resort, akin to a heritage hotel, nestles on a hillock 1km away from Srinagar Township, which has been carved out by two generations of foresters to retain the traditional values, yet is contemporary to suit modern day living. 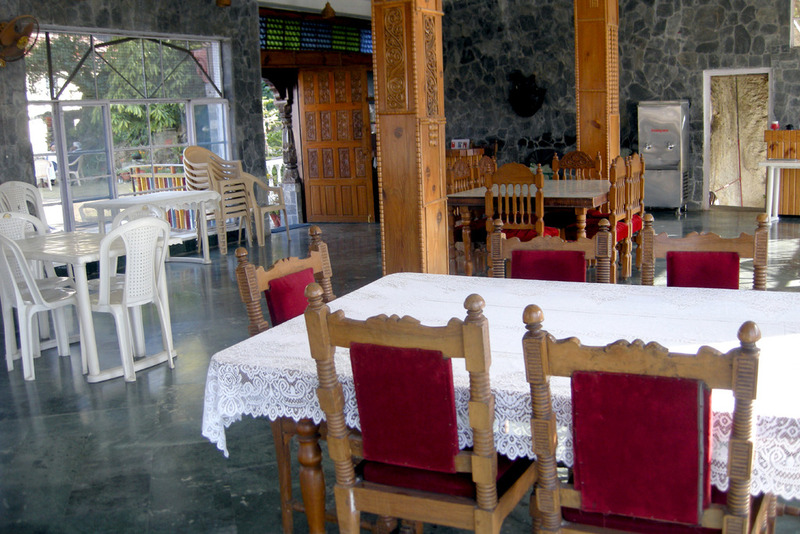 The traditional himalayan cottage tranquil environs are suited to diverse travellers from nature lovers, pilgrims, travellers, painters and bird watchers to couples on a honeymoon! The premises unfold an incredible panorama: silent and blissful peace of the Himalayan mountains, snow peaks and a 12km view of the Ganges river meandering artistically through the splendid open valley and township - a dreamland.The premises have been continuously functioning for the last 50 years towards an Eco-Friendly and biodiverse environment by way of raising more than 250 plant species, including rare plants, Rose Garden, Forest and Fruit Trees, Shrubs, Climbers, Annuals & Vegetable Garden and Lawn. One can taste the fresh fruits directly form the trees in season. The fruits include Peaches, Leechis, Mangoes, Apples, Apricots, Grapes, Kiwi, Pecanut, etc. Parking, Airport Transportation, Family/Child Friendly, Internet/Wi-Fi, Laundry Facilities, Safe Deposit Box-Front Desk, Security Guard, Room Service, Complimentary Newspapers in Lobby, Baggage Storage on Request. Attached Bathroom, H/C Water, Complimentary Newspaper, Television Room, Reading Lamps, Safe Deposit Locker Facility, House Keeping, Cable/Satellite TV, Desk, Bottled Water in Room. User reviews for "IvyTop Resort Srinagar"